Wilson manufactured calorifiers or storage vessels with removable tube heat exchange bundle are manufactured to AS1210 and AS1200 pressure vessel code/s using Duplex 2205 stainless steel for commercial & industrial applications. 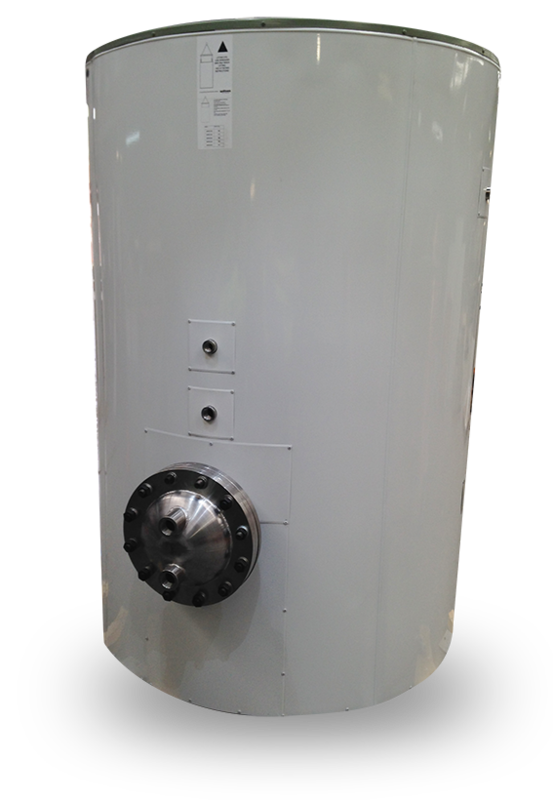 The standard Duplex grade stainless steel storage tanks are designed to any specified pressures and/or applications and have a much longer service life than most stainless steels. The storage side of calorifiers are designed to heat the stored water to operating temperatures of up to 90C however Wison Hot Water can also manufacture vessels with higher Hazard Level AS 4343 using high temperature heat sources including steam. Wilson Hot Water will manufacture to any specification and capacity options, from very small through to very large including either horizontal or vertical vessels. The inbuilt installed heat exchanger uses multiple tubes returning into a tube plate; the tube plate is covered by a removable bolted flanged bonnet where secondary water enters and leaves the bundle. The bonnet is designed to suit the specified kW rating or designed by calculation of specified temperatures and flow rates required for the application. Wilson Hot Water use high grade polyurethane foam insulation for heat retention of the heated stored water and finished in an attractive colourbond outer case. Bare tanks are also available if required if preference is to clad on site.